and then a”/b” = (1/2)ab as well. 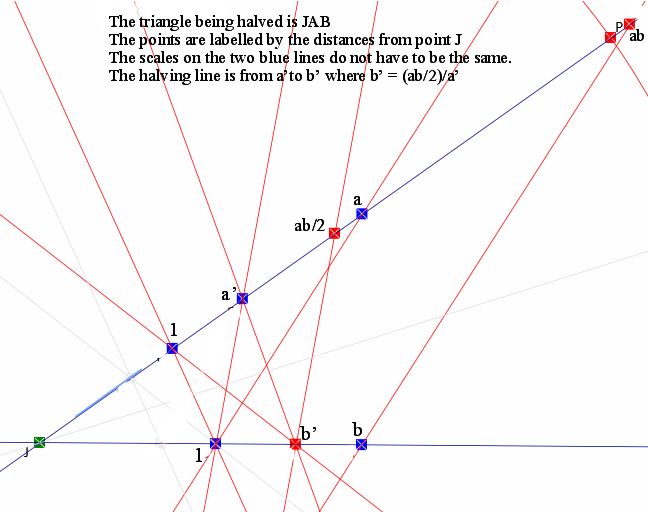 This is the construction for the halving a triangle. 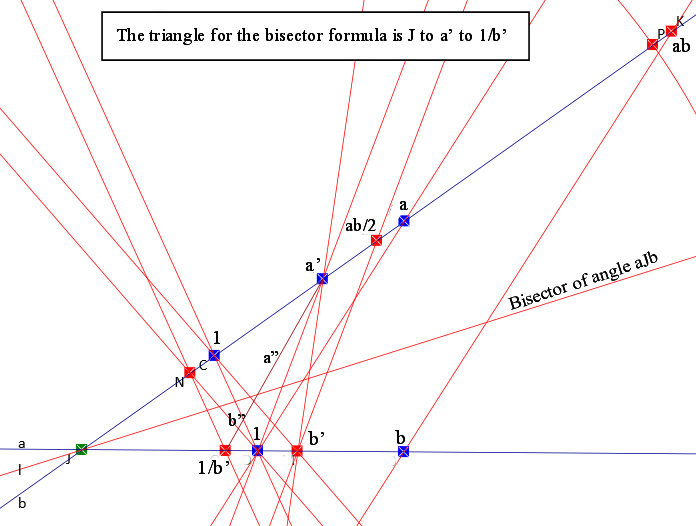 This is the extended construction for the bisector. The opposite side is in brown. And in case you got this far, some light relief. 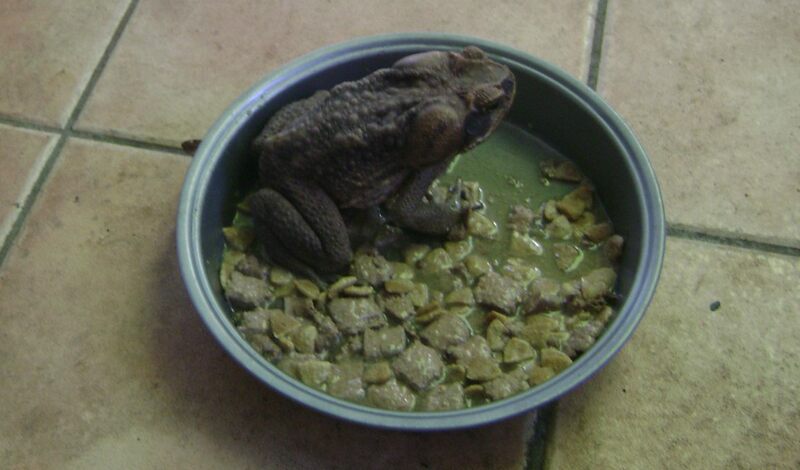 Bullfrog eats dog food, this morning. The dish is 10 inches across.